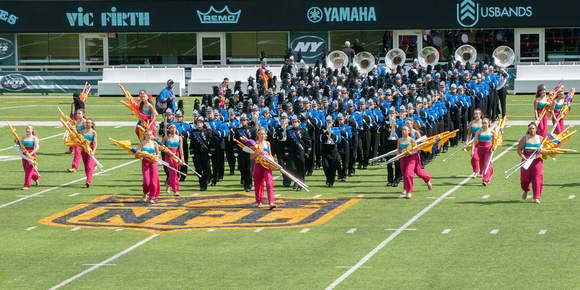 The SPFHS Marching Band and Color Guard took part in the Yamaha Cup competition at MetLife Stadium on Sept. 26. We have a great collection of photos of the performance on the football field, as well as “behind the scenes” shots of the warm-ups outside the stadium. 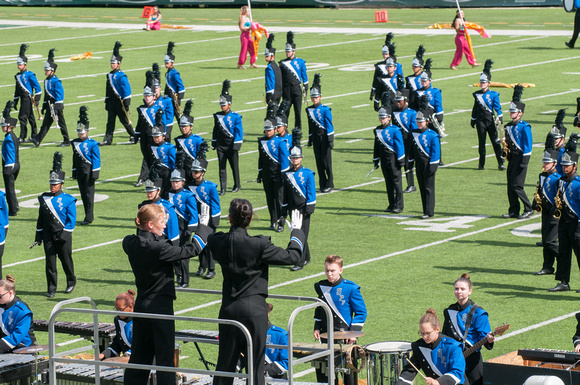 Click here or on the images above to see an album of photos by band parent Dev Anjaria, starting with the warm-ups and continuing throughout the performance. Click here for more photos from the warm-ups by pit crew member Dan Murphy. After the show, the band returned to the high school to cheer on the Raiders football team. Dan took these photos of the stand cheers. Check out our Photos Website and its huge collection of SPFHS music photos from the past several years. Contact Dan if you have photos you’d like to contribute, or with any questions. Don’t forget to attend the mandatory first information meeting about the 2016 Spring music department trip to Philadelphia on Tuesday, September 29th at 7PM in the SPFHS auditorium. First time trip parents especially — there’s a lot to know, and starting your fundraising as soon as you can will lessen the bite. Also — there’s a new page here with details on the upcoming SPF Music Reunion event that’s coming in December. Check it out and buy your tickets to the music and comedy performance scheduled for December 19th. Join us in the SPFHS Auditorium on Tuesday, September 29th at 7PM for the first informational meeting for next spring’s music department trip to Philadelphia. Learn about dates, fundraising, and get any questions you have about the trip answered. See the full calendar of Music Booster & Music Department events here.